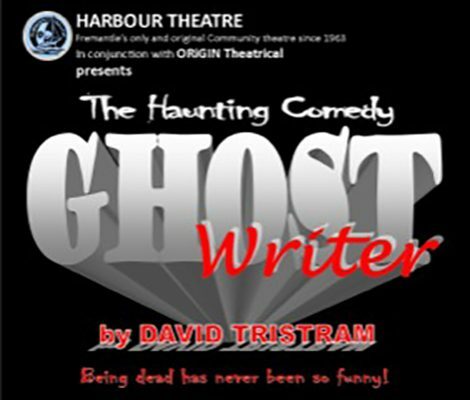 We went to see the play at the Harbour Theatre in Fremantle on Saturday. 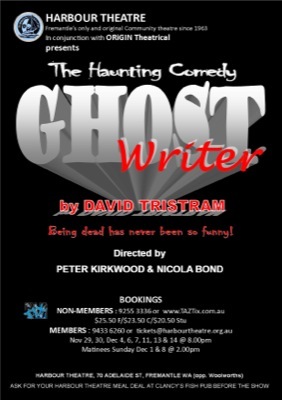 It’s called Ghost Writer and as I earn much of my living as a ghostwriter, naturally, we went along. 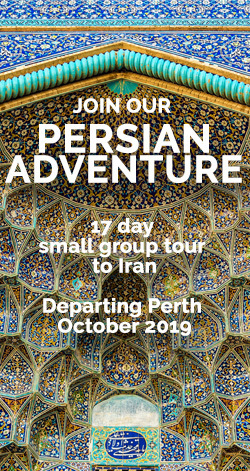 The heads up about the play came from Susan, one of the mad bunch of ‘Turkish Delight’ writers and photographers who were with on the tour of Turkey. A whole mob of us: Susan, Wendy, Helen, Anne, Linda, Michelle and Brenda along with Abbe and me met up at Clancy’s Fish Bar for great tucker before strolling around the corner to the theatre. The play was great; the actors, though not professionals were excellent. The only curious thing was the programme which listed everyone’s biography except the writer’s Apart from being acknowledged as the play’s writer, David Tristram, didn’t get a mention. It was almost as if he was a ghostwriter.